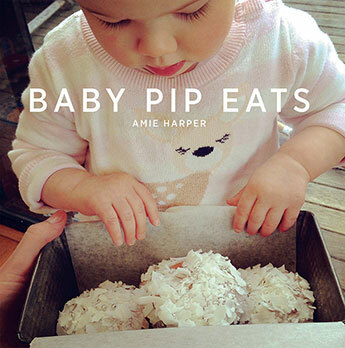 Recipes and Images from Baby Pip Eats by Amie Harper (Murdoch Books) available in all bookshops and online. Heat a non-stick sauté pan over medium heat and add 1 tbsp olive oil or butter. Add 1 washed and chopped leek (pale part only) and cook, stirring occasionally, for 5 minutes until soft. Add 2 diced carrots, 2 diced celery sticks and 2 tsp chopped thyme. Cook for a further 3 minutes. Add 1 kg (2 lb 4 oz) chopped chicken thigh fillets and cook, stirring, for 5 minutes. Add 1.5 litres (52 fl oz/6 cups) water or chicken stock (homemade stock is best as it’s less salty, or use a reduced-salt one) and bring to a boil, then reduce the heat to a gentle simmer and cook for 1–1½ hours. Alternatively you can transfer the mixture to a slow cooker after the stock has been added and cook for 4 hours on the fast setting or 6–8 hours on the slow setting. Remove the chicken from the soup and shred into small pieces. 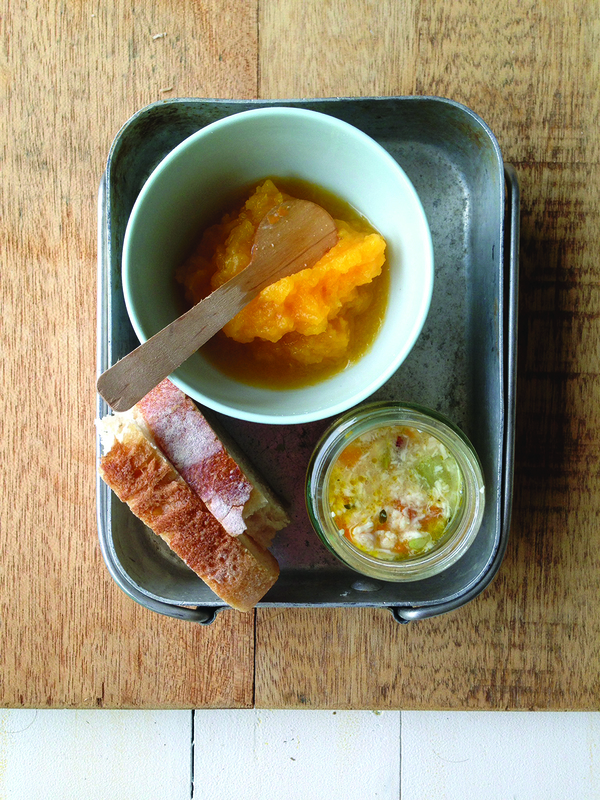 Return the chicken to the soup, stir through, then serve with bread and mashed pumpkin for dipping. Try: You can use diced skinless chicken breast fillets instead of thighs; they don’t take as long to cook, so reduce the simmering time to 30 minutes (or until the chicken is cooked through and the veggies are soft). I don’t recommend using breast meat if you’re cooking this in a slow cooker, though, as the meat tends to dry out. This entry was posted in Cook Books, Food and Drink, Recipes and tagged baby food, chicken, first foods, soup. Bookmark the permalink. Chicken soup really nourishes the soul, doesn’t it, Carol? And that recipe looks both tasty and not difficult to put together, even if it does take some time. There is something about chicken soup isn’t there that nourishes the soul. And I think if you make the effort to make your own stock you really reap the rewards.